Tribute | Rowley Spring and Stamping Corp. It is with deepest sympathy that we announce the passing of Stanley Bitel, founder of Rowley Spring and Stamping. 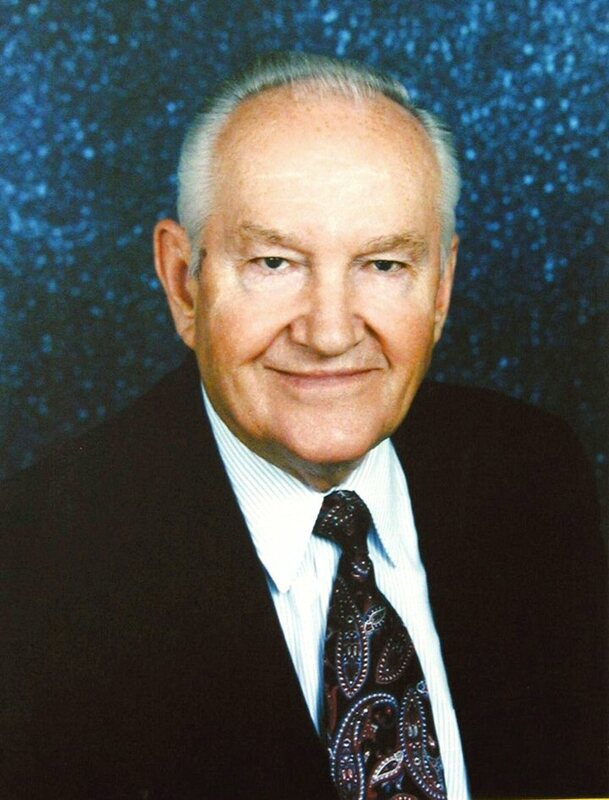 BITEL, STANLEY P. born October 16, 1921, founder and owner of Rowley Spring and Stamping Corporation in Bristol, CT, passed away on Friday, May 22, 2015, after a long battle with Alzheimer’s disease. He was the loving husband of the late Florence Kovitch Bitel and beloved father of Darlene Bitel Krammer (and Ludwig), of Chicago, IL, Camilla Bitel Farrell Russolino (and Larry), of Portsmouth, RI, and adoring grandfather of Andreas and Nicholas Krammer of Chicago, IL and Dean Russolino of Portsmouth, RI. He also leaves many nieces and nephews behind. He was pre-deceased by his sister, Mary Folcik, and brothers, Vincent, Frank, Joseph, Walter, and John Bitel. Stanley Bitel was the son of immigrant parents, Stanley and Anna (Kapish) Bitel who settled in Southington, CT with their beautiful family of seven children, of which Stanley was the second youngest. They worked hard and were driven by the importance of faith, education, and the promise of a better life. Stanley graduated from the University of Connecticut. 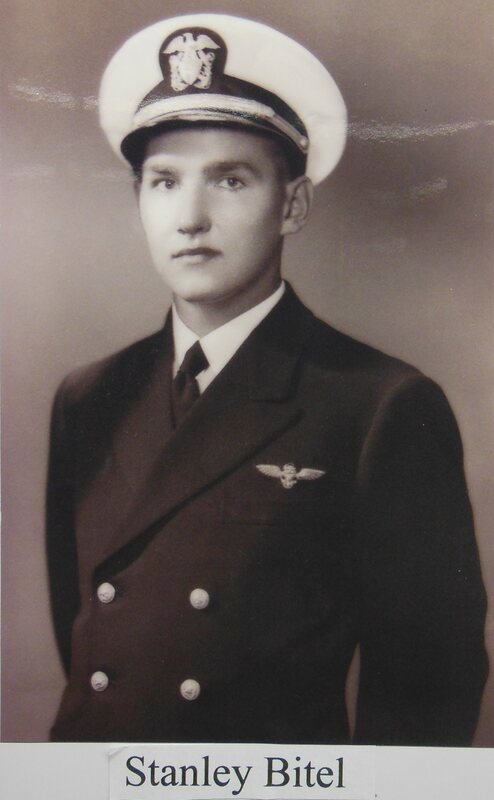 He then joined the United States Navy and became an accomplished Naval Aviation Officer. In 1954, Stanley started his own spring business in the garage of his home residence on Rowley Street in Berlin and the business is still flourishing today, now located in Bristol, Connecticut. Stanley’s motto was that with determination, drive, and a strong team, success was sure to be achieved with anything he set his mind to. Stanley’s strong work ethic was only matched by his love of his family and zest for life! Stanley was active in various civil and professional organizations over the years; he was a Trustee of St. Paul’s Church in Kensington, CT, a NESMA Board Member, and Bristol Chamber of Commerce Board Member and Award Recipient. As an avid golfer, he was a member at Chippannee Country Club in Bristol, CT, Farmington Country Club, and Indian Hill Country Club in Newington, CT. He shared many wonderful memories with dear and special friends on golf courses around the world, and he proudly achieved a hole in one at the Wianno Golf Course in Cape Cod! He was a devout and spiritual person and served as a Lector at St. Paul’s for many years. 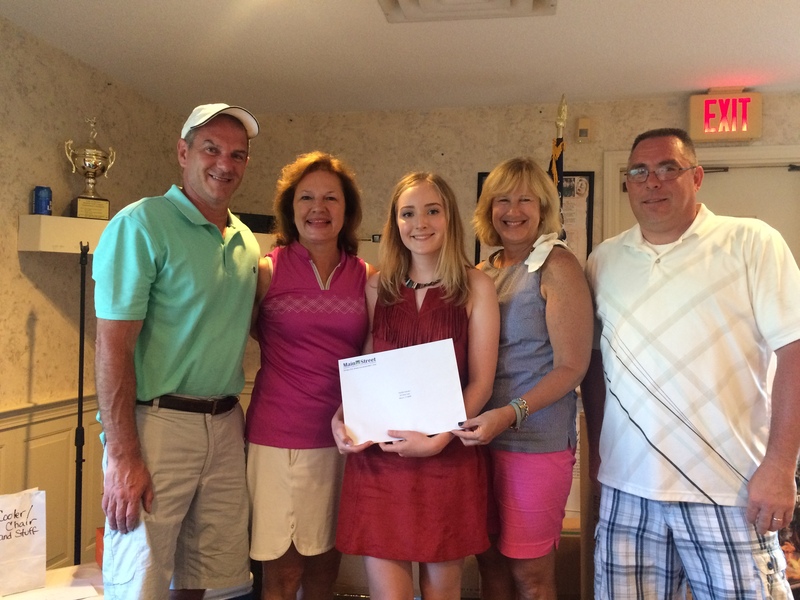 If there was evera fundraiser or raffle, Stanley was the first person to be on board to spearhead the cause. His favorite charities included St. Paul’s and the American Cancer Society, after losing his adoring wife to breast cancer in 1987. To share a memory with his family, please visit http://www.newingtonmemorial.com. I’ll miss you Stan. You’ve been my father for the past 45 years and 11 months. The wife and I are truly blessed to have known you. Our deepest condolences to the family. Stan, you will be truly missed. Family, Friends, & Employees all lost a very special person. Those that never had the opportunity to meet Stan really missed out on a true leader and mentor. While I did not have the privilege of meeting Stan, I can see from his family and the people he has left behind that he was a very special man. I am glad to be part of the successful company that he built. I will honor Stan and the memories he has left behind as stories of Stan are told by all who loved and respected him. May God give him everlasting peace. Stan was a source of inspiration for myself and many others. He was a wonderful person with a great sense of humor, and an Exceptional Leader. He will truly be missed. Stan, You always treated us like family. You were very kind and caring, always thinking about our well being both personally and professionally. I will miss you. You always had a smile! I personally never had the opportunity to meet Stan which turns out to be my loss. us physically but I know he will be with us in spirt. Watching over every spring and stamping we manufacture. To Darlene and Camilla, I would like to thank the both of you for taking a very sad day and doing a wonderful job to make everyone comfortable saying their final good-byes to a long time friend to many of us here at Rowley Spring. Stan was a wonderful man and was also there to help us if we needed it just like family would do. Stan will be missed a lot and I speak not only for myself but for the many others that knew him. Thanks again, today was awesome and sad at the same time. Stan always made people at Rowley feel like they were part of his family. He will surely be miss but never forgotten. I will always remember how he would sing Happy Birthday to us. Stan You were my Mentor, my Father,my Friend you at the front of the shop making sure everything was done right comeing in me at the back of the shop making sure everything was right going out you taught me how important it was to make sure are buyers are #1 when we walk in the door and if something was not good enough for me to exept than it was not good enough for buers to exept.I miss your laugh and your humor but your guidence and compation that I have learned through you in the 27 yrs I have worked with you I will charish and hold in my heart for the rest of my life. This is hard not because I don’t have anything to say. It’s because I have so much I could share with everyone. Not sure how many people have heard the song (movie) To Sir With Love. Well that’s what I feel happened to me because of Stan. For that I will always be grateful. The last several years have been a strain on Stanley. But he always kept his dignity and of course his witty sense of humor. We all loved that. I know when he said hey Boobala what are we doing today with a big smile on his face it was going to be a good day. I loved it when he called me boobala. I could go on and on so to save room for others I will end with this. I will miss you dearly and you will forever be in my heart and thought of often. Stanley was a lot of things to many people. On my part there was one more thing: because of the fact that we both could speak Polish, we had lots of fun trying to sing songs Stan remembered from his early childhood or have a good laugh making up them. He was a father figure to me and I will miss him greatly. A wonderful man will be truly missed. You could count on his smile and sense of humor everyday. He always passed on good advise both professionally and personally. 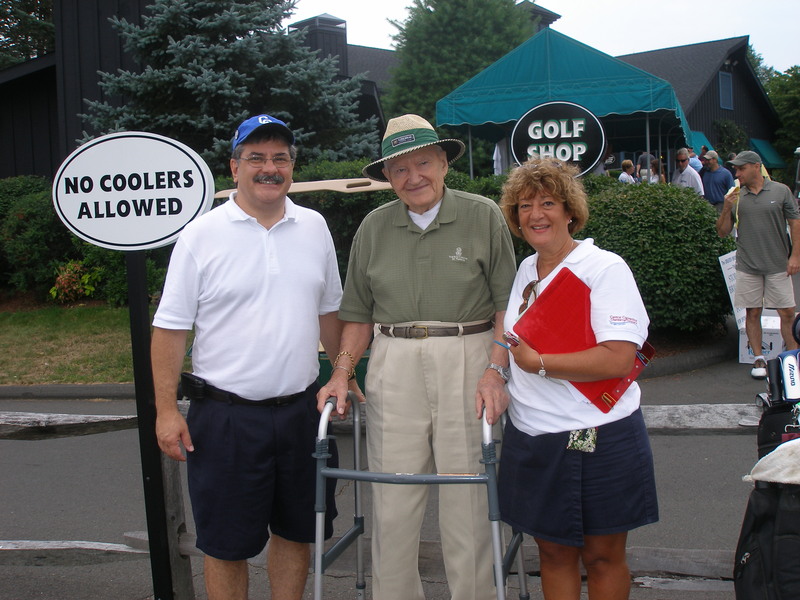 Stan, you led an incredible life, both personally and professionally. Many people have difficulty balancing the two, but along with your strong work ethic, you always found time for your friends and family. It’s amazing to look at all the lives you touched and where your passion, drive and leadership have taken the business that you started in your garage. As you always used to say, “I was an overnight success – it only took me 50 years!” You will truly be missed. Stanley was very involved with our Chamber since I have been here (almost 20 years). He played every year at our tournament …..into his 80’s! He was a kind and gentle man and I personally will remember him fondly. Stan was a great guy , who loved people, and always supported our community, I had worked with Stan , when I was Mayor to move his company, Rowley Spring and Metal Stamping from Riverside Ave To the Bussman Facility , on Redstone Hill Rd, I can remember how proud he and the former General Manager Manny Tavaras was on the day they moved, I’m sure Stan and Manny are together in heaven.playing golf.